Sports watch lovers may have found much to admire among the latest dive watch or aviation debuts seen earlier this year at Baselworld. But if these same collectors were also searching for traditional two-pusher chronographs, historically the meat of the active sport watch market, these enthusiasts might have noticed fewer to rave about. Instead, this year more than a few watchmakers have enhanced or specifically focused on the chronograph function. Below are eight debut chronographs with something beyond simply a sporty look. All successfully remind collectors that the chronograph function is indeed a true complication. 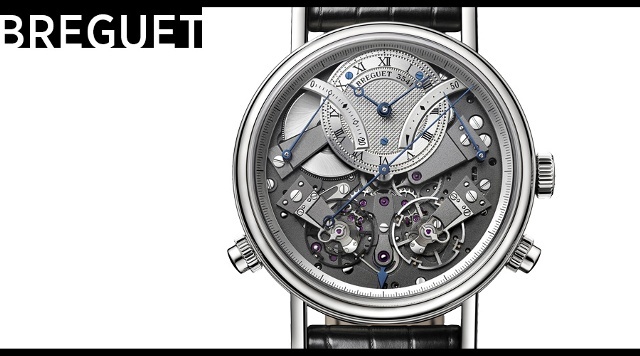 Breguet’s latest innovative timepiece (and there have been many in recent years) is a chronograph that offers two gear trains, one for each of its primary functions. First, the timekeeping functions (the hours and minutes) are powered through a dedicated mainspring and via a balance beating at 3Hz (21,600 vph, visible on the lower right side of the dial) with a power reserve of fifty hours. Most unusually, the second gear train operates independently from the timekeeping gearing and is powered by a flexed blade spring that will operate the chronograph for twenty minutes. The user doesn’t wind it via the crown. Instead, each time the user resets the chronograph to zero, this blade tenses up and stores that energy for the next chronograph use. This chronograph assembly, visible on the lower left side of the dial, operates at the high speed of 36,600 vph. Prices: $79,700 for white gold and $78,900 for rose gold. 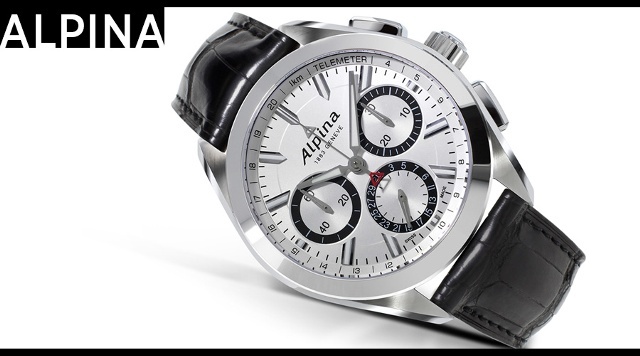 Alpina added something extra to its first in-house chronograph this year: a flyback function. With this fairly uncommon technical flourish, the user can restart the chronograph by simply pressing a single pusher, positioned here at 4 o’clock. A counter at 3 o’clock adds cumulative times up to 30 minutes. Creating new Caliber AL-760, a modular construction based on its own AL-710, Alpina has developed an automatic flyback chronograph model that also allows the brand to maintain its place among moderately priced sporty brands. This 45mm watch with a steel bracelet will retail for less than $5,000. 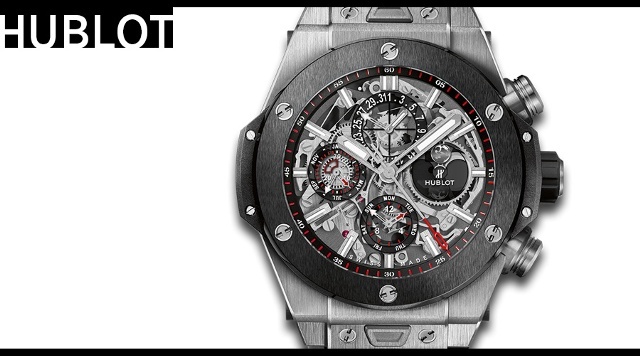 Among its many other 2015 debuts, Hublot this year celebrates ten years of the now emblematic Big Bang with this perpetual calendar, a first for Hublot. Using its own Unico movement, Hublot fuses three major complications: a chronograph, the perpetual calendar and the moon phase. The watch’s perpetual calendar utilizes the white hands while one should eye the red arrow-shaped hands to determine chronograph readings. The moon phase is of course visible on the right side of the open dial. The 45mm Big Bang Chrono Perpetual Calendar is available in the pictured titanium version ($26,300) or in a King Gold version. 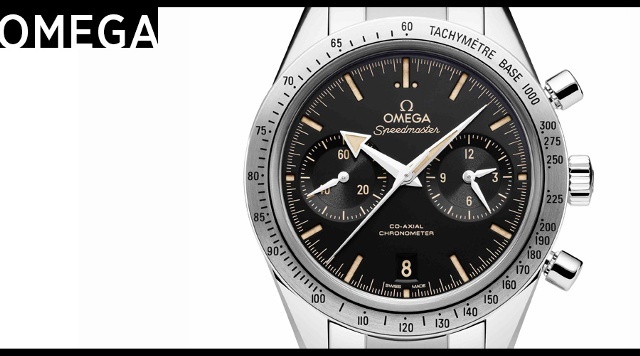 Two years ago Omega’s upgraded Speedmaster offered an Omega Co-Axial movement with the model’s classic design. This year, Omega again re-imagines the Speedmaster with this 41.5mm steel Speedmaster ’57. Inside is Omega’s own Co-Axial caliber 9300, a column-wheel chronograph visible through the sapphire crystal caseback. What is most different this year is the recessed hour markers that Omega has partly filled with green-hued SuperLuminova that creates a vintage glow. Note the Broad Arrow style hour and minute hands. Price: $9,000. 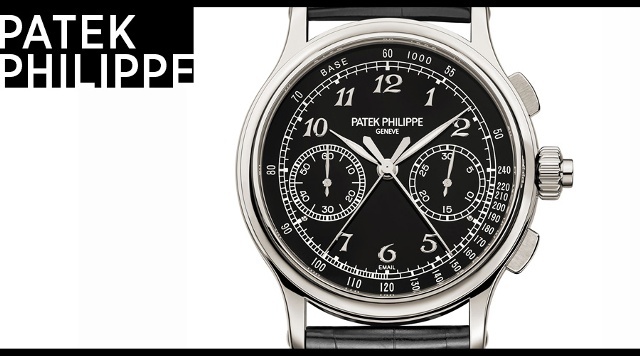 Patek Philippe Split Seconds Chronograph, Ref. 5370 This handsome 41mm platinum-cased split-seconds chronograph, a watch we’ve noted in an earlier post as one of the year’s most lauded debuts, offers Patek Philippe’s split-seconds feature as a stand-alone function, which differs from an earlier incarnation inside a Ref. 5204 perpetual calendar. The stunning two-column-wheel movement lies underneath a highly detailed, hand-applied black enamel dial and can be seen in all its glory from the clear sapphire caseback. As with all Patek Philippe split-seconds chronographs, demand is high (especially for vintage models, and more specifically when in search of the original 1923 models) and this new watch will be produced in small numbers. Price: $249,200. Breitling Transocean Chronograph 1915 In 1915 Breitling debuted what it calls the first independent push piece in a wristwatch, placing it at 2 o’clock. To celebrate that milestone the aviation-centric brand this year offers this limited edition steel model with a distinctive vintage dial and the same single pusher at the 2 o’clock position. The single pusher in this 43mm steel limited-edition watch handles the start, stop and zero-reset functions. Inside is a new hand-wound Manufacture Breitling Caliber B14 that is officially chronometer certified and equipped with a two-tiered double column-wheel system activated by chronograph controls also arranged on two levels. 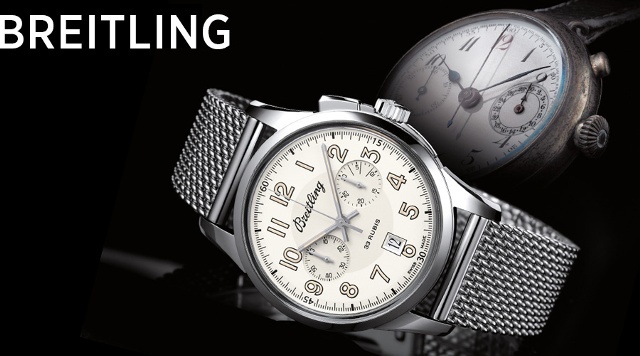 Breitling has filed for a patent for this unusual construction. Only 1,915 will be made and they are priced at $9,275 on the steel bracelet and $9,090 on a crocodile strap. 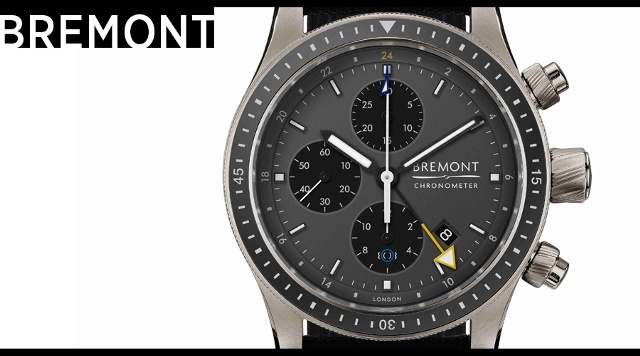 The new Bremont Boeing Model 1 and Model 247 Titanium GMT timepieces differ in two significant ways from last year’s Boeing models. Both now feature the yellow-handed GMT function, and both are now manufactured with aviation-grade Ti 6-4, which is a special titanium said to be significantly stronger than commercial titanium and used in both airframes and engine components. This is the first time Bremont is offering aviation grade titanium cases in any of its core range pieces. The 43mm chronograph model, pictured here, is fitted with a specially upgraded ETA Valjoux 7750 with Bremont’s own decorated rotor and is COSC-certified. The watch arrives on a Seattle organic polymer strap plus an additional strap. Price: $7,495. 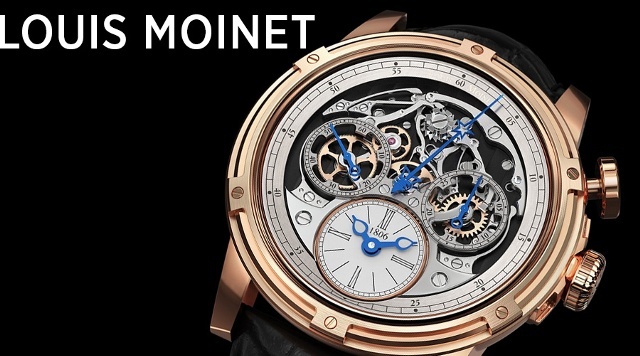 Louis Moinet Memoris No post about chronographs would be complete without a look at a new model from the company named after the function’s inventor. And of course, this new model (which we showed you in our look at open-worked watches a few weeks ago) brings the function front and center. The Memoris highlights its skeletonized Concepto-built chronograph movement, which can be seen in action at the top of the cut-away dial. Press the pusher and the show begins. In addition to the dial, Louis Moinet here offers a new case, new hands, a new oscillating weight and a new folding clasp. Price: $49,900.